Beautifuly hand crafted fabric wrapped clothesline bowl. 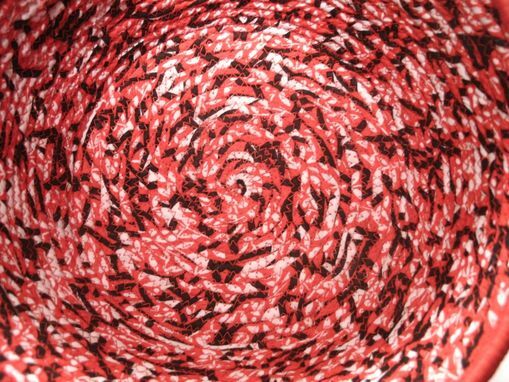 This craft is created by handwrapping strips of fabric onto clothesline then sewn together with a machine zigzag stitch. 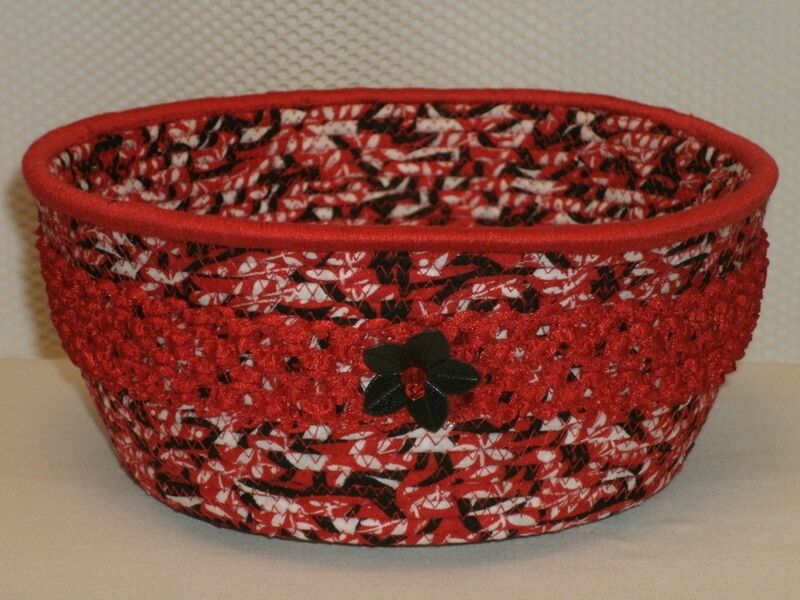 This piece is in colors of black, red, and white. 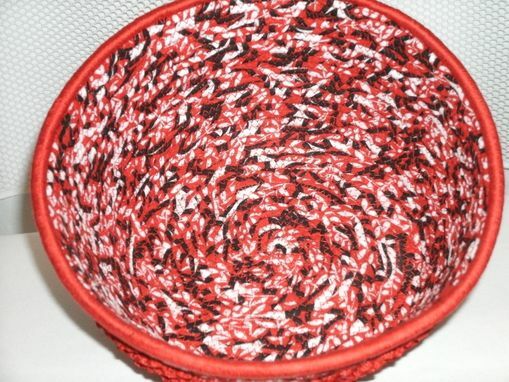 Red ribbon accent around center of bowl. Satin edging. Flower accents. Measurements: bottom base diam. 6 inches, top diam. 8 inches, 8.5 inches. Depth is 3.75. Beautiful addition to your decor.